To meet the needs of today’s burgeoning mobile app market, organizations must adopt the right set of tools. Mobile Application Delivery Platforms (MADP) enable enterprises with a scalable, flexible solution to rapidly concept, develop and deploy mobile applications that are highly usable and complex. 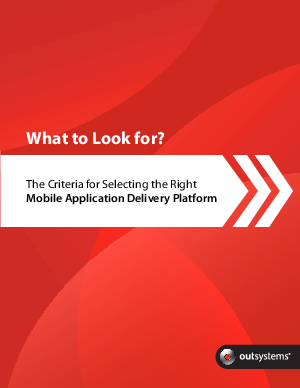 It is important then, to choose the right mobile platform that addresses each of your organization's unique needs for rapid app development and deployment.